CPP is the "Algorithm" i developed to create shapes with only 1 co-ord given by the user. O yeah! one more thing...What does CPP Stands for? Let me explain: Your graph screen has a center point where both x and y equal zero. 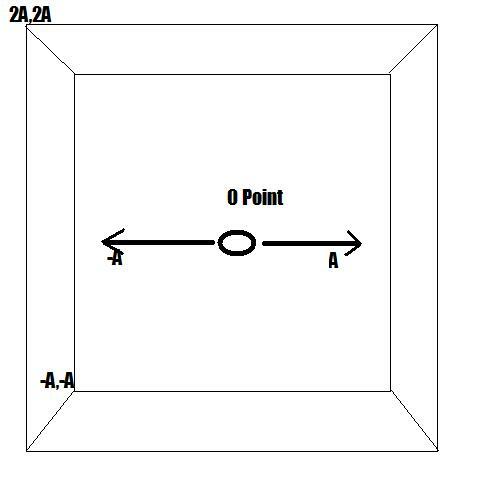 So if I ask the LENGTH of a line from the center point i can use that as a Y or X co-ord. Hence we input 'Lenght' to be 3 then the code would be like this. Now if you try this line on your calc you will see a vertical line if we can draw vertically then we can draw horizontaly and diagnaly aswell!